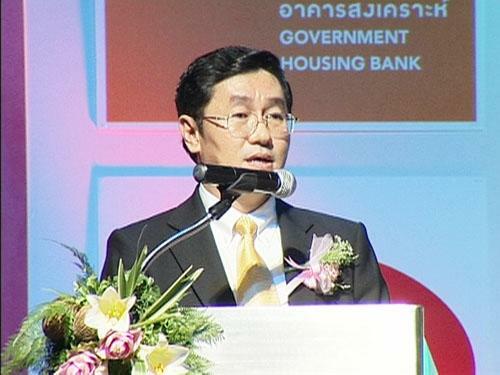 Mr. Surapong Suebwonglee, the deputy Prime Minister and Finance Minister, gave a special speech on the topic of ?? 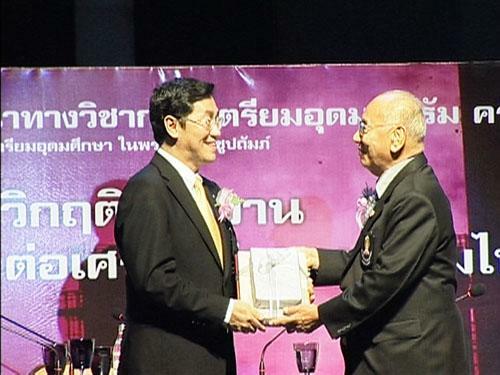 ?Reviving Thai Economy? 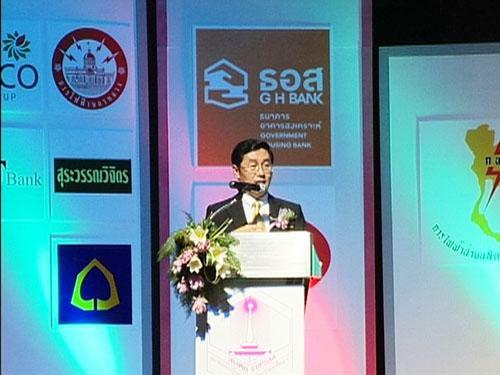 ?� at the 3rd Triam Udom Forum titled ?? ?The Effect of Energy Crisis in Thailand?? ?s Economy and Society? ?� organized by Triam Udom Suksa Alumni Association in which he said that the government has already prepared measures to handle the fluctuation of world market?? ?s oil price and will push a measure to help people to increase their income and reduce their expense amid higher cost of living as well as will use the paddy pledging scheme to make sure rice prices are in line with market mechanism, at Bangkok Convention Center Room, Centara Grand Hotel, Central World, June 7 2008.